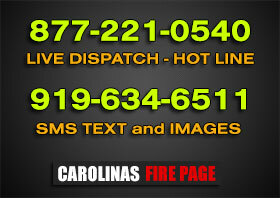 MOORE COUNTY, NC – At approximately 23:45 hours on Thursday, April 15, Cypress Pointe, Southern Pines and Whispering Pines Fire were dispatched for a structure fire at 168 Whitt Court in Vass. Units found heavy fire conditions on arrival and were able to quickly control the fire. No injuries were reported. A shop building attached to the primary structure was saved by firefighters.